Delhi Daredevils are a side, which comprised of quality cricketers in the first few seasons, but are yet to win their maiden IPL title. Having retained three players in Chris Morris, Shreyas Iyer and Rishab Pant, DD entered the IPL 2018 auctions with not too much money in the kitty. But what looked like a planned move, the Daredevils camp was on its toes to sign Glenn Maxwell, who was left out of Australia’s ODI squad recently, and finally bought him for a whopping Rs 9 crore. DD used their two Right To Match (RTM) cards to retain Mohammed Shami and Kagiso Rabada. Delhi Daredevils is one of the most prominent teams in the IPL but never won any IPL season. It looked a stronger team but only on the paper not on the ground. This is going to be the eleventh season and still DD (Delhi Daredevils) as never been in the finals. First few seasons Delhi daredevil played well later looked a mere participant in the competition. Delhi Daredevils team 2018 squad is stronger than any team and hoping for some better and good results in this season. 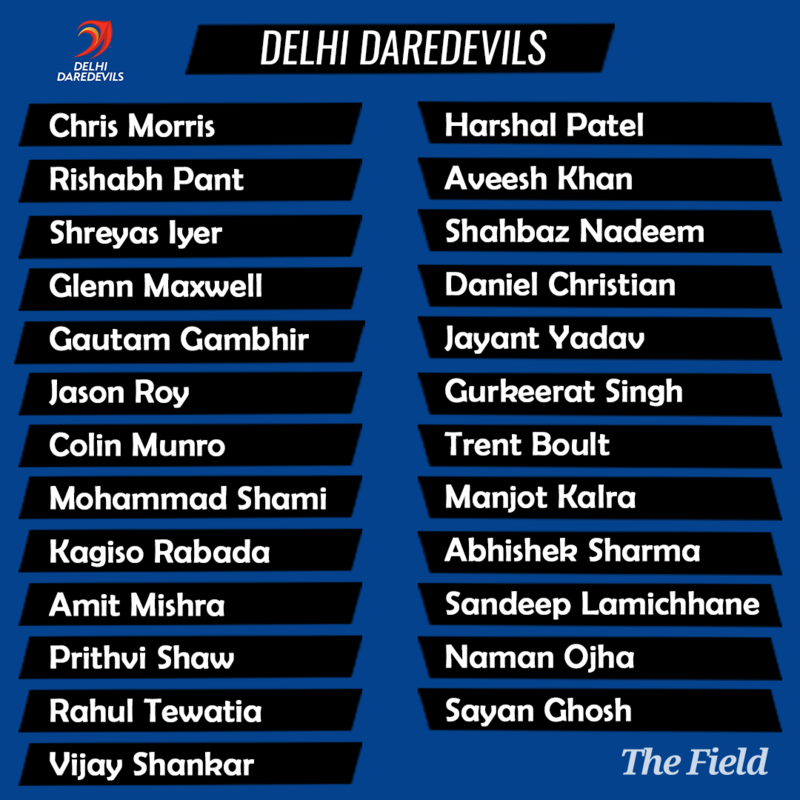 Delhi Daredevils which represents Delhi city was founded in 2008 & purchased for $84 million by GMR group during initial Indian Premier League auction. Feroz Shah Kotla of Delhi is the home ground of DD and Raipur’s International Cricket Stadium is its secondary home stadiums. Delhi Daredevils is one of the strongest team in the IPL but only for the two seasons. DD have seen many ups and downs in last 10 years. Many Stars like Gautam Gambhir, Sehwag, AB Devillers, Dilshan, McGrath etc. are not playing for the DD. In the eleventh season of IPL Gautam Gambhir joined Delhi through auction and he will be the captain of Delhi Daredevils team 2018. After back to back disappointing results in 2010 and 2011, team made to playoffs in 2012. After the loss in 2012, the team never recovered and were languishing at bottom of the table for next three seasons. 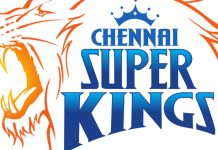 After seeing the team performance you must come to know that this team didn’t perform well in IPL but maybe this year this team will do something good. 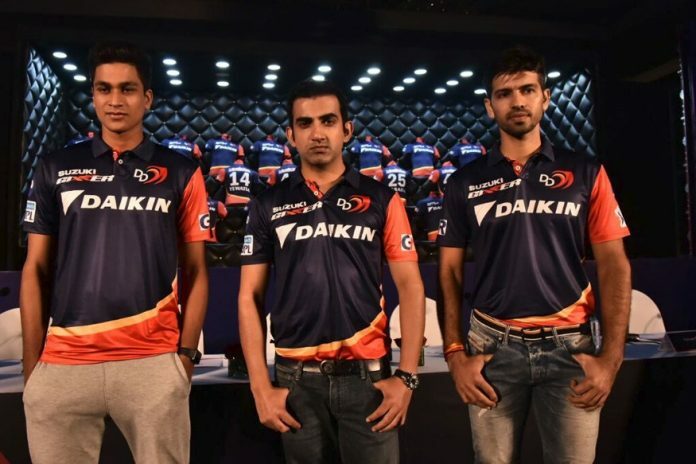 Let’s look at the Delhi Daredevils IPL 2018 Crew. Now you book ticket for the IPL 11 Delhi Daredevils Tickets Online Booking and Schedule | IPL 2018 DD online Tickets. Support staff: Head coach: Ricky Ponting, bowling coach: James Hopes, fielding coach: Subhadeep Ghosh, assistant coaches: Pravin Amre and Sridharan Sriram. Delhi have a solid batting unit in place with Gambhir, Roy, Iyer and Pant leading the way. They look solid at the top. In Pant, they also have a good wicketkeeper. Delhi are relying heavily on their power-hitters in the top order to put up big scores on the board. With Maxwell, Shankar and Morris comprising the middle order, they have all-rounders who can also be match winners on their day. The team will rely on their foreign players Roy and Maxwell to explode with the bat while their Indian players anchor the innings at any given point of time. However, in Iyer and Pant they have got reinforcements if the foreigners fail. With Gambhir in all probability leading the side and Ponting as coach, Delhi have World Cup winning players guiding a young and title hungry outfit to say the least. Even though Delhi have world No 1 Rabada and India pacer Shami in their ranks, the bowling department seems to be an area of concern. The duo do not have great T20 records. Rabada has 22 wickets in 16 T20I games while Shami has eight wickets in seven games. Death bowling will also be an issue for the team. In Amit Mishra and Shahbaz Nadeem, Delhi have a quality spin attack to cause serious damage. However, their domestic form off late will be a cause of worry. Trent Boult will be on the bench in all likelihood considering the fact that Roy, Maxwell, Morris and Rabada will be their foreign picks to take the field. Aveesh Khan, Sandeep Lamichhane and Sayan Ghosh will look to be groomed for the future and hence a game in the upcoming season looks difficult. Another area of concern for Delhi will be getting their batting order in place. They will once again try and test different combinations to decide who will open the innings, which can hurt the likes of Maxwell and Iyer. Gautam Gambhir (c), Jason Roy (o), Shreyas Iyer, Prithvi Shaw, Rishabh Pant (wk), Glenn Maxwell (o), Vijay Shankar, Chris Morris (o), Kagiso Rabada (o), Mohammad Shami, Shahbaz Nadeem. Considering they are a new team and will need time to function as a unit, it is unlikely that they will win the title. However, if they get their act together from the word go, a place in the final or at least a play-off berth is a guarantee.